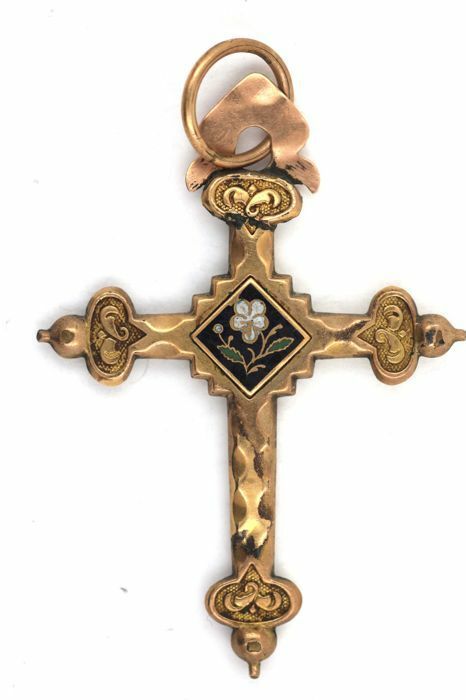 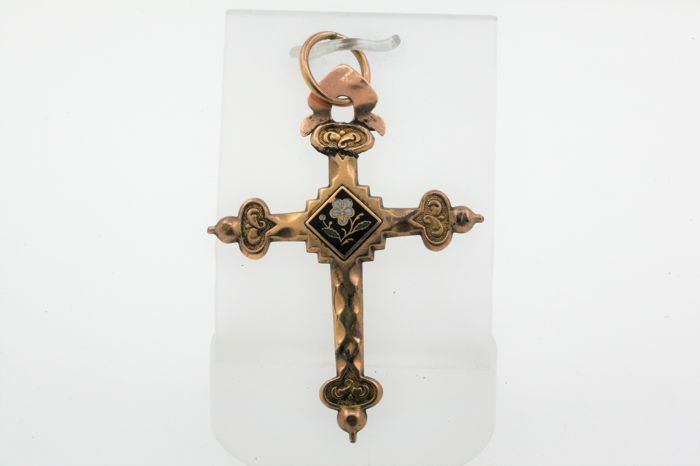 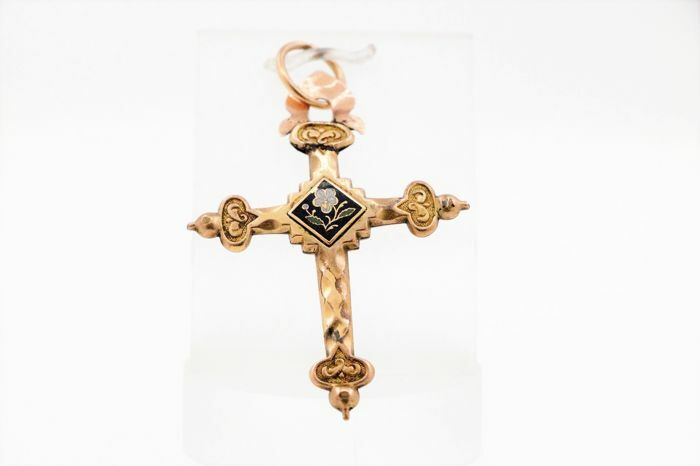 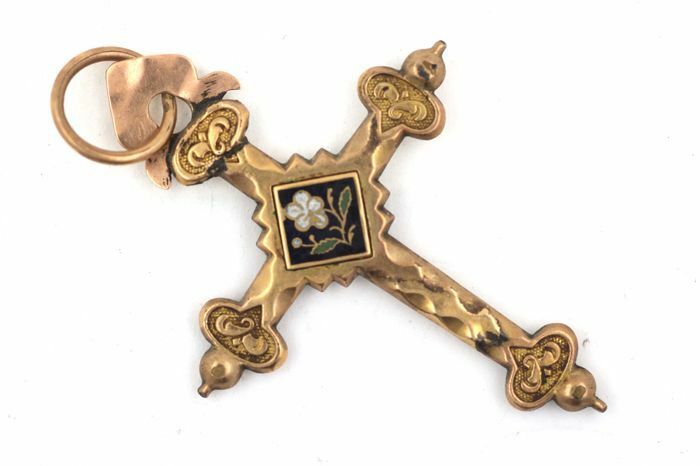 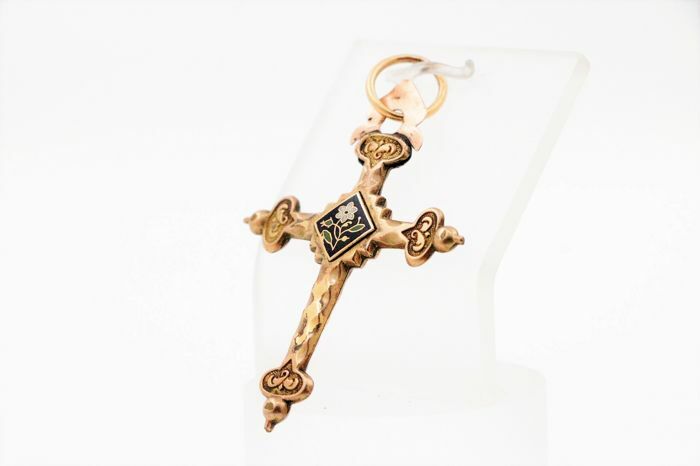 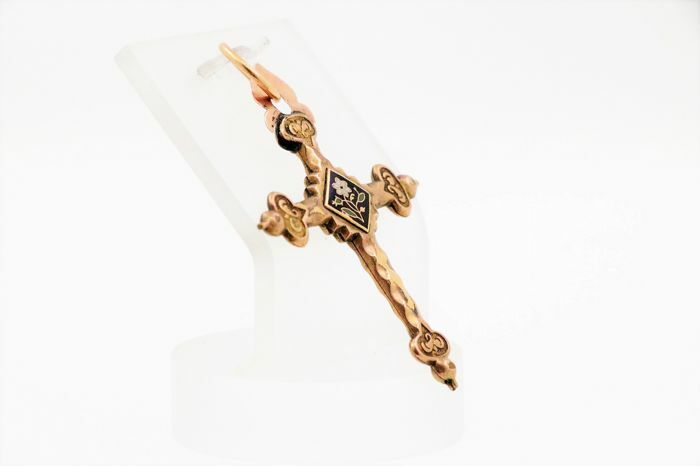 Very nice antique cross pendant with very well preserved enamel motif, as well as floral engravings. 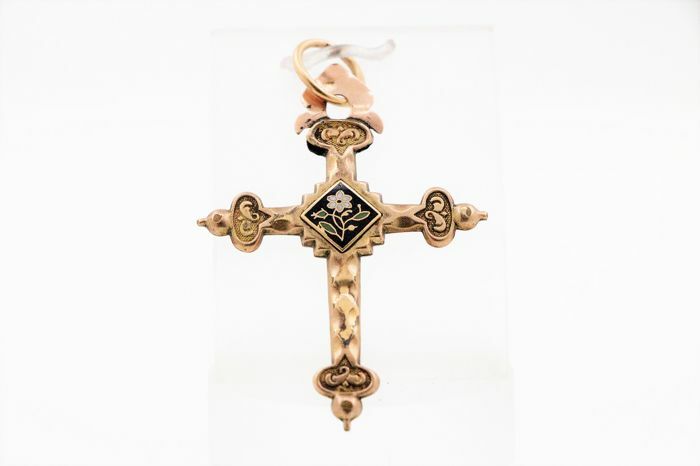 This is an exquisite unique Jugendstil piece from around 1890, which will make collectors' hearts beat faster. 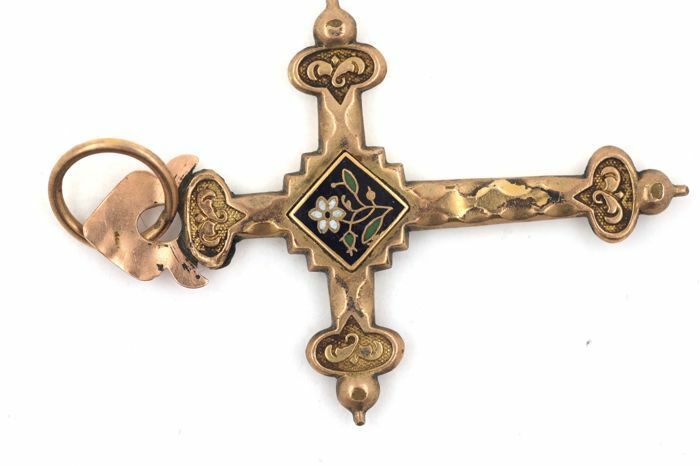 The enamel is very carefully enameled on the front and back.